The Laurige pen case with tuck in flap closure offers great value for soft grained leather made in France. It is available to fit one or two pens, and comes in a wide array of classic and fashionable colours to match your pen. 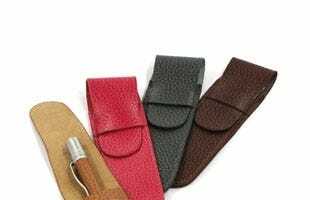 Also available is their zip closure pencil case using the same leather and colours. 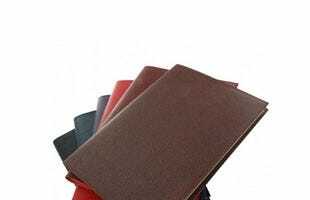 The soft supple leather from Laurige is perfect for their refillable leather journals, available in A4 or A5 size, and lined or plain paper. 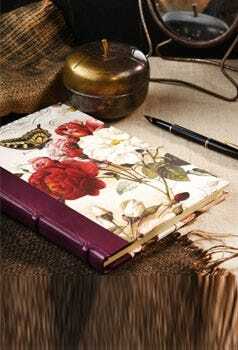 Their pad portfolio is a handy tool for business meetings, and is not as bulky as a briefcase. It features a study zip closure, a large internal pocket suitable for a laptop or tablet and an A4 writing pad. 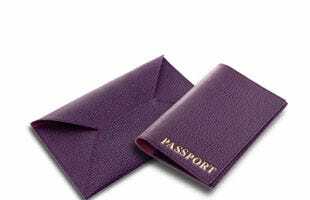 Laurige leather wallets feature plenty of internal pockets, easily fitting travel documents such as a boarding pass. 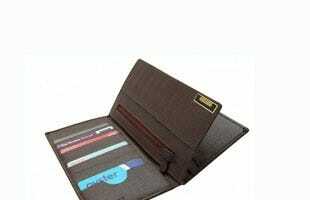 Choose from their vertical format billfold wallets, credit card holders and travel card holders. Available in classic colours such as black and chocolate, as well as the more fashionable such as turquoise and fuchsia, making them ideal for both men and women.